Place: Ali Shan, 800 meters height (the street merchant was not very sure). Aspect of Dry leaves: Big, with stems. Color of Dry leaves: Fresh green (light to dark) and some white. Color of tea: Light yellow. Aspect of open leaves: Complete leaves. Fermentation a little below average. Hand and machine picked. Dry leaves: Light cut grass. Dry glass: Vanilla and flowery. Bitter/acid: Overwhelming bitterness. Heavy tongue and stomach feels uneasy. Feeling in the throat: Little. 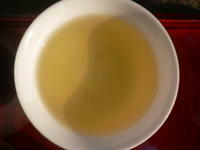 Other remarks: This is a very green tea, which can cause stomach ache if brewed too concentrated. The bitterness is a mark of the summer harvest. That's why few tea sellers admit to sell summer tea, since it is less good than spring or winter harvests. 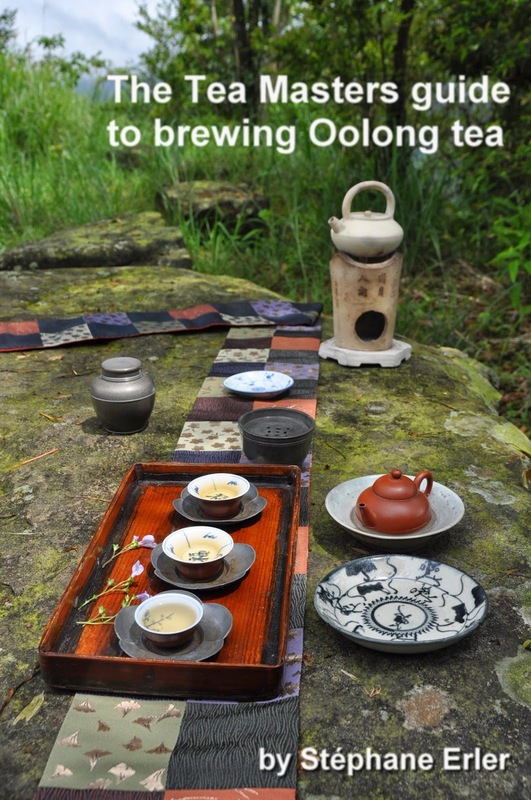 Jinxuan oolong shines through its fresh flavors, whereas Luanze oolong has a deep, long-lasting taste. 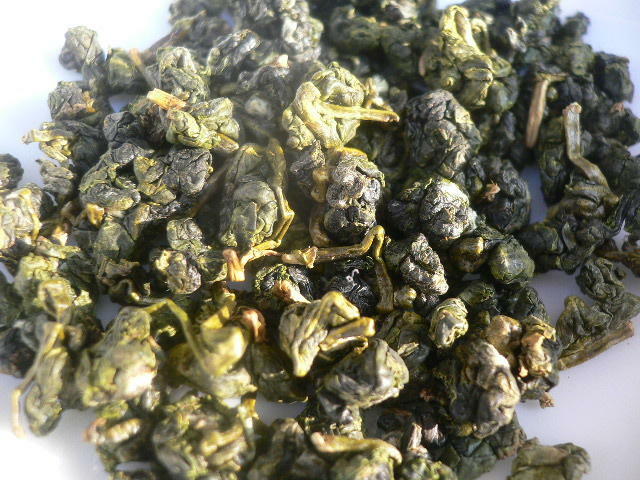 Nowadays, the Taiwanese oolong market preference tends to go toward a pleasing nose rather than nice taste. (A reason why farmers like jinxuan is that it grows quicker and can be harvested up to 5 times a year. 3 for luanze oolong). However, my tasting of Luanze and jinxuan oolong makes me prefer my selected Luanze oolong. 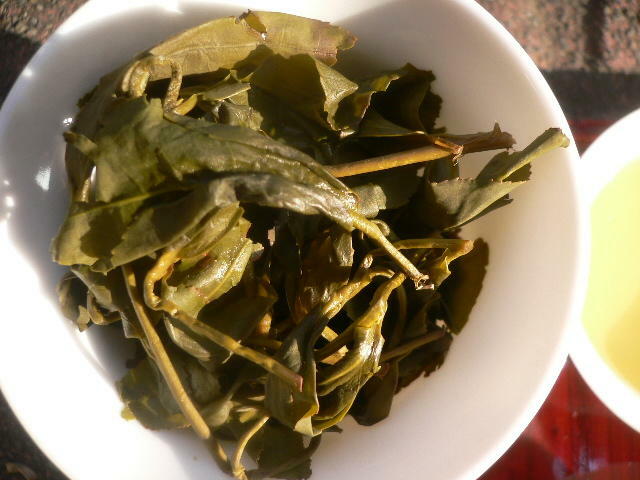 I may add that most professionals I have met also prefer the traditional Luanze oolongs. So, can this jinxuan beat wenshan baozhong? 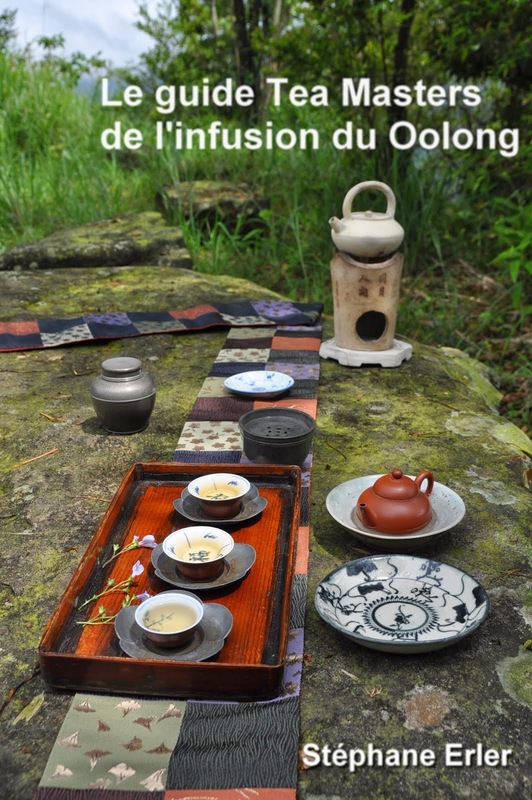 J’ai reçus de Stéphane un échantillon d’un Oolong que j’ai dégusté ce week-end. Je voulais partager avec vous mes observations. Pour cette dégustation, j’ai utilisé 2gr de thé pour 10ml d’eau minérale Volvic dans une théière en porcelaine. • Pour les feuilles sèches, j’ai observé deux couleurs. Certaines étais vertes foncées (vert bouteille) et d’autres étais d’un vert/jaune. • Les feuilles sont chiffonnées et luisantes, et ont une odeur végétales, de foin. • Les feuilles infusées donnent une liqueur d’une couleur jaune/vert d’une belle clarté et il y avait peu de résidu. • Pour la liqueur elle a une odeur végétale et un goût sucré, moelleux et végétale. La tasse vide ma fais penser au biscuit au beurre. • Les feuilles chaudes ont aussi l’odeur du biscuit au beurre. Tige comprenant deux grandes feuilles et trois feuilles terminale. Pour moi il était assez court en bouche. C’est un thé léger et jeune, mais rond et velouté en bouche.